What else can/is to be done ? It is now only a matter of weeks before the truth about Peak Oil comes crashing through the mass media, the public consciousness and the imagined realities of life. In July we will see that OPEC (especially Saudi Arabia) cannot increase production. The long unconnected dots will become clear lines depicting a now inevitable collapse and die-off. The once impenetrable edifice of the old paradigm which locked our warnings away and blocked them from real public discussion will rupture. Peak Oil is certain to become an issue in the U.S.general election this November. Two events are about to take place, and indeed have already begun. The Peak Oil movement, those of us who labored and sacrificed for years,have our collective pants tied round our ankles and our heads inserted deeply into non-energy-producing regions. The first event is easy to address if we focus. The second, however, may literally render what"was" the real Peak Oil movement ineffective and condemn hundreds of thousands, if not millions, to death. Because what people hear and learn in the first months of true Peak Oil awareness will determine the course of discussion, planning and of history, from here to eternity. 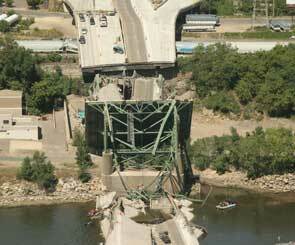 Within weeks or months the major media will become "aware" of Peak Oil. They will come to the Peak Oil movement and say, "OK, what do we do now? What should a President do? What should congress do? What should people do? I have seen no serious or focused attempt to prepare for this demand. I am tinkering with a proposed Presidential Platform on the subject by myself and when I think I have something serious Iwill release it. The addresees of this email ONLY are encouraged to offer suggestions. [Ed: By this, Mike is referring to the recipients of his original email. Blog readers are encouraged to send suggestions to the blog. But Mike is not recommending that everyone start calling the media on their own.] But all of the people who have labored so long and sacrificed so much should be prepared for microphones to be thrust at them nationally and locally. What are you going to say? This is the most serious threat of all. 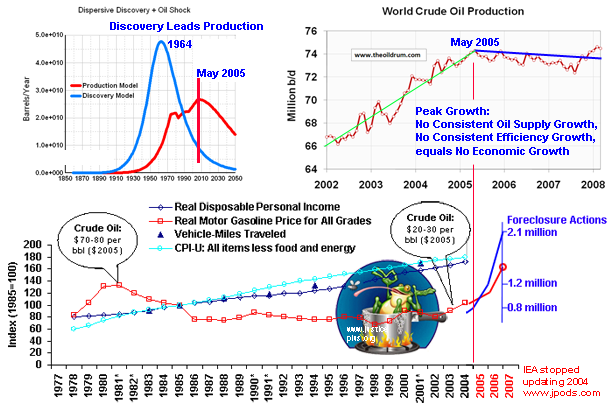 Already, people who we have never heard of, and who have never sacrificed or contributed an iota, are starting to emerge saying that they have "disovered" Peak Oil. They are presenting themselves as experts. Their first approaches will be to local and regional media outlets who don't know their derrieres from a dry hole in the ground. The local and regional medias will be the ones funneling discussions and questions upward to the Larry Kings of this world. This is just the beginning of a deluge. More than half of those who will wind up on CNN, Fox, ABC and on the pages of our newspapers will be either one of two things: rank opportunists and snake oil salesmen who will distort and peddle bad ideas and self-promotion; or they will be out-and-out disinformation artists funded either by Wall Street or the US government. They will be intent on lining their own pockets, protecting the old paradigm and blunting a truth which has begun its demand for payment before foreclosure. These people will be murderers of the worst sort. Yet they will be flooding media switchboards, email inboxes and fax machines at media outlets around the country. And because they will be making noise they will get the air time that the real activists who have spoken truth will not. POWs, Iran-Contra, CIA drug trafficking, the 1992 presidential campaign and 9-11. It happened in every one of those "earth shattering" crises or events. I was there. I watched and felt it happen in every one of those sagas as it unfolded. People who we have never heard of will be getting the spotlight and the Peak Oil movement will not -- because it gave up at just the wrong moment. The struggle to define Peak and what it means for mankind is just beginning. Are you willing to sit back and watch the snake oil salesmen, dilettantes, and wolves in sheeps clothing dictate the discussion and set the agenda, just when the window and demand for real education opens wide and beckons? Author: "Crossing the Rubicon: The Decline of the American Empire atthe End of the Age of Oil"
Richard Heinberg, author of “Peak Everything”, reviews the accelerating events since mid-2007 with Janaia Donaldson of Peak Moment Television, including the credit crunch and fossil fuel price volatility, noting that we’ve missed most of the best opportunities to manage collapse. An interview with TOD's own Phil Hart on ABC Stateline TV in Victoria (Australia). David Bell, convenor at the Australian Association for the Study of Peak Oil and Gas, talks with Bloomberg's Bernard Lo from Sydney about the outlook for crude oil supply and demand, and the impact of rising prices on business. Finally here's a link to a World Energy Television (an energy industry site, I think) has a long interview with Matt Simmons: http://www.worldenergysource.com/wetv/energycrisis/. It's not embeddable, so you have to slog over there yourself.